Two-pocket folders feature three durable fasteners that hold up to 50 letter-size pages for professional reports. Two interior pockets accommodate loose papers, allowing you to stow notes, brochures or other unpunched pages along with the report. Left pocket has a die-cut business card holder. 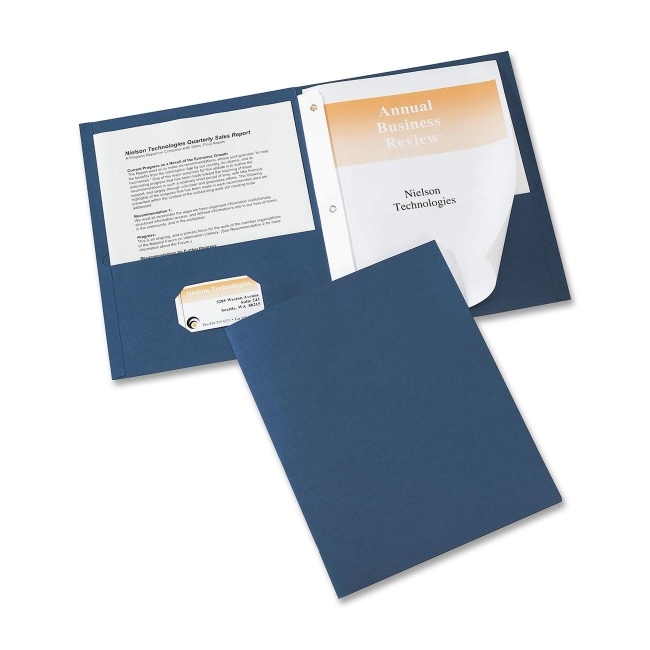 Each report cover is constructed of sturdy embossed paper for a classic look.